Even though it may be a tedious task to undertake during the year-end crush, holiday cards are an important marketing and brand-building tool. Display-worthy. Your holiday card is one of the most on-display items you’ll send to your client. After all, no matter how satisfying their investment performance, they won’t tape a recent statement to the wall. Yet, business owners hang the holiday cards in their lobbies. Company employees display them on their desks or in their cubicles. Retail clients put them along a mantelpiece, place them on bookshelves, and some even win a coveted spot on the refrigerator door. Keep the display aspect in mind when selecting your card. For example, horizontally-oriented cards tend to fall over more easily than their vertical counterparts. If it keeps falling down, it is a nuisance and will end up in the trash faster than a fruitcake. New year, new card. Even if you have a stockpile of cards left from past years, fight the urge to use them. If you absolutely can’t resist, then only send last year’s card to new clients. Current clients just might remember, and reusing a card sends one of two messages: you are too cheap to buy new ones, or you are lazy. Awareness. Unless you know for certain of the religious holidays your clients celebrate, stick with a “Happy Holidays” or “Season’s Greetings” message. Quality. There are a tremendous number of low-cost, do-it-yourself options out there. Use them cautiously. Make sure the output reflects your professional standards. Test the system. If you are using an automated system, make sure it works. Build enough time into your process so that you can generate test cards to make sure the process works (quality check addresses, salutations, signatures, postage, etc.). Destination. In most instances, you’ll want to send the card to your clients’ homes. Exceptions can be made for centers of influence and corporate clients and contacts. Old-school charms. Modern conveniences like electronic signatures and address labels hint of a mass-mailing campaign. They may seem impersonal. Take the time to hand sign each card. For bonus points, write a personal sentiment. Respect the sanctity of the time. If your standard practice is to ask for referrals every time you communicate in writing with clients, consider taking a break on the holiday card. You don’t want to leave the impression that you’re simply trying to drum up business. Timing. The later the card, the more competition it has for your clients’ attention and display space. To stand out, start early. Spice it up. Anyone can pick up store-bought cards, or pull from the standard greetings in the online templates. The result is a forgettable and insincere greeting. Be creative and design something distinctive. Take the time to select a design and message that reflects your brand. Be inclusive. Forget about selectivity. Dive deep into your CRM. You don’t want to be on the receiving end of a game of card tag whereby you scramble to get a card in the mail for someone who has sent one to you. Get personal. This is an opportunity to connect with clients on a personal level. 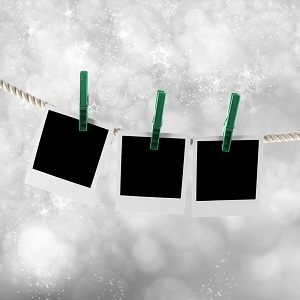 Give details about favorite holiday memories or the traditions you hold dear. 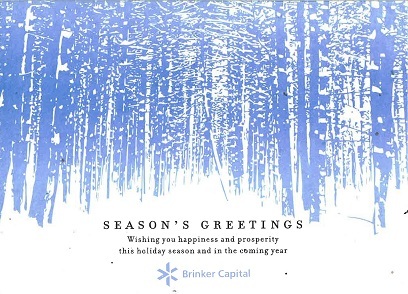 This entry was posted in Lifestyle Perspectives and tagged best practices, client relationship, communication, Happy Holidays, holiday card, Sue Bergin by Brinker Capital. Bookmark the permalink.